This week, Berry Gordy, Jay Z, and James “Jimmy Jam” Harris and Terry Lewis will be inducted into the Songwriters Hall of Fame. They will join immortals such as Little Richard, Valerie Simpson and Nickolas Ashford, Dolly Parton, Nile Rodgers, Jerry Garcia, Marvin Gaye, Cyndi Lauper and more. This week The Undefeated celebrates future Songwriting Hall of Famers — the ones who make the whole world sing and bop, and even milly rock. Ice Cube pulls up on a group of friends. It’s the summer of 1989 in Los Angeles. All young black men, all from the South Central area, his friends are slanging crack. Cube, by then, is already famous, the most vicious wordsmith of America’s worst nightmare: the rap supergroup N.W.A. He rolls the window down on his Jeep. His boys looked at him, puzzled. In 1980s South Central Los Angeles, the streets were a war zone. Born O’Shea Jackson in 1969, four years after the Watts riots and during the rise of the black liberation movement, Cube’s life was a courtside seat to gang and police violence. He saw black boys’ and girls’ lives cut short by violence that turned neighborhoods into prisons, and to graveyards. Does a résumé as decorated and diverse as Cube’s obscure who he is as a songwriter? As in many major U.S. metropolitan areas, crack was the crème de la crème narcotic. For users, crack was an escape. “It is also a drug of desperation, linked to the urban poor’s struggle to be part of the greater society,” said Joyce Hartwell, founder and director of New York’s Recovery Hotline and Addiction Anonymous Education Project. Fast money, cheap product, economically deprived ‘hoods: an elixir for violence. In Los Angeles alone, the murder rate had risen every year since 1985. In 1988, the year N.W.A. released Straight Outta Compton, there were 452 gang homicides — 29.7 percent of all area murders. In 1989, 554 gang homicides accounted for 32.7 percent of all homicides. The numbers would only increase, rising to 803 gang murders (39.4 percent of all) by the time the Los Angeles riots popped off, for a long list of reasons, in the spring of 1992. Cube recognized quickly his platform, and the responsibility that came with being one of the most recognizable rappers in the country. For Cube, his art was chemotherapy for a cancer the country had long ignored in neighborhoods portrayed as ground zero on nightly news broadcasts. He thanked his friend and bought him a beer. Thirty years after the Straight Outta Compton album, Ice Cube is a Rock & Roll Hall of Famer. 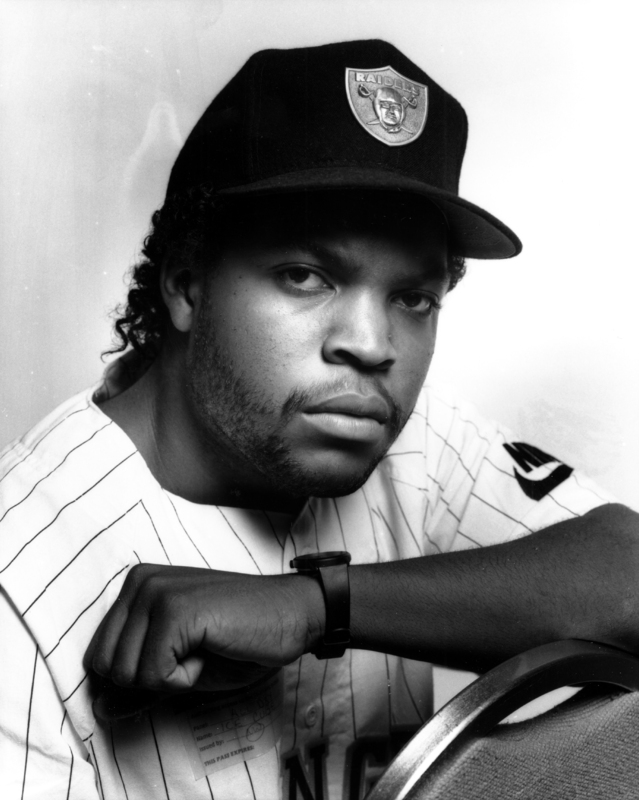 He’s sold over 15 million albums through his solo work and compilations and as a leader of N.W.A. and Westside Connection. Cube has long since established himself as a force in Hollywood as a producer, screenwriter and actor, starting with 1991’s timeless ode to life in South Central, Boyz N The Hood. From there, cult classics such as 1998’s The Players Club, acclaimed smashes such as 1999’s Three Kings, as well as his Friday, Barbershop and Ride Along series strengthen his portfolio as he heads into thriller territory. Come later this month, he’ll have successfully placed Allen Iverson back on a basketball court with the creation of his BIG3 basketball league. And just last weekend, Cube gave Bill Maher a lesson in the use of the N-word. But is one of rap’s finest lyrical storytellers the victim of society’s selective amnesia? Does a résumé as decorated and diverse as Cube’s obscure who he is as a songwriter? Cube’s relentless output during the late ’80s and early ’90s writes its own chapter of American history. He’s one of gangsta rap’s main creators, along with Ice T, Eazy-E, Dr. Dre and Snoop Dogg. His music shed light on the despair, anger, yet resiliency of life in the ’hood. Cube’s 360-degree view of the black experience in America was a persuasive counterpoint to politicians and critics who painted black individuals and groups with broad strokes. It was Cube’s call of duty to tell South Central Los Angeles’ story — which, in turn, spoke for the millions nationwide dealing with similar situations. By doing so, he warned America of a simmering resentment. His graphic street scriptures, however bold and outright disrespectful of women, law enforcement and whatever else, function as the Old Testament for what exploded on television screens across the world in the wake of the Rodney King verdict. The first three songs on the album Straight Outta Compton, which sold 3.5 million copies (and led eventually to the acclaimed and successful 2015 biopic of the same title), became part of a 1988 hip-hop trifecta, along with Public Enemy’s It Takes A Nation of Millions To Hold Us Back and the launch of Yo! MTV Raps, which changed the culture, and music as whole. Straight Outta Compton represented art by fire. And Cube was its lead arsonist. “Gangsta, Gangsta”: Here’s a little something about a n—- like me/ Never should’ve been let out the penitentiary/ Ice Cube, would like to say/ That I’m a crazy m—–f—– from around the way/ Since I was youth, I smoked weed out/ Now I’m the m—-f—— that you read about/ Takin’ a life or two, that’s what the hell I do/ You don’t like how I’m living?/ Well, f— you! “Not all of what we say on records describe us,” MC Ren said in 1989. “We also describe the exploits of people around us. So this is telling it again, like it is and how people really behave.” As N.W.A.’s acclaim and infamy spread, so did its influence. Fishbone’s 1991 The Reality of My Surroundings, the Geto Boys’ 1990 “City Under Siege” and Public Enemy’s 1990 “Fight The Power” further enunciated a desperation. For Cube, it wasn’t about taking — or making — rap music literally, lyric for lyric. It was a reclamation of identity. “[Black people] lost 400 years of teaching, of schooling of any kind of knowledge of our culture,” Cube said in a 1991 interview. “Right now, we’re in the process of getting that back through rap music.” Cube’s music was the crystal ball. On 1990’s “The N—- Ya Love To Hate,” Cube advises: The day is coming that you all hate / Just think if n—-s decide to retaliate … then Kicking s— called street knowledge / Why more n—-s in the pen than in college. But it’s his second solo album, 1991’s Death Certificate, where final warnings were spelled out. This was Cube masterfully executing a concept album in the early ’90s, a new task for the still-infant genre, yet Death is comparable to Marvin Gaye’s 1971 What’s Going On, or Stevie Wonder’s 1973 Innervisions. Aside from Cube’s spectacular songwriting was his attention to sequencing detail. While the first half of the project revolves around life in the ghetto (“The Wrong N—- To F— Wit,” “My Summer Vacation” and “A Bird In The Hand”), the second half is Cube offering cultural and societal critiques (“Us,” “True To The Game” and “Color Blind”). His music shed light on the despair, anger, yet resiliency of life in the ’hood. Cube’s cutthroat examination of the medical discrimination black people receive in South Central also goes under the microscope “Alive on Arrival:” Woke up in the back of a trey / On my way to MLK/ That’s the county hospital, jack, ha/ Where n—-s die over a little scratch/ Sittin’ in the trauma center/ In my back is where the bullet entered/ “Yo, nurse, I’m gettin’ kinda warm!”/ B—–s still made me fill out the f—— form. Two months after the apology, the four Los Angeles Police Department officers who assaulted Rodney King were acquitted. To Ice Cube and residents of South Central, the verdict wasn’t surprising. This was no isolated incident. And soon, the Los Angeles skyline was painted with smoke rising from the flames that enveloped Los Angeles streets. The deplorable conditions that Cube had lamented for years, attempted to explain in interviews and broadcast to an entire country had finally come to fruition. Ice Cube didn’t necessarily predict the L.A. riots as much as he diagnosed urban illnesses. Communities were ravaged by drugs. Resources provided to other parts of the vast city were omitted from South Central. Desperation led to violence. Although rap music had its faults, and didn’t please a lot of people, Cube’s music wasn’t created with the intention of making people feel good. It was created with the intention of the listener feeling the pain and hopelessness of so many of the people Cube grew up around. He peeled back American hypocrisies and, in his own way, changed the course of American pop history. Cube did it for his people. He did it for those same friends he pulled up on in his Jeep, some of whom may not even be alive anymore.